James Free writes his observations of ESRI MVP types moving away from ESRI servers (ArcGIS Server, ArcIMS, ArcSDE) to Open Source for web publishing. The MVPs report Open Source is faster and offers better value. This lines up with anecdotal reports I'm hearing from developers. For instance, developers on the West Australia's Landgate project compared optimized Oracle Spatial + ESRI SDE with unoptimized PostGIS and found PostGIS ten times faster for the queries they were running. Open Standards & Open Source at SSC Conference, Hobart, Australia. There was significant buzz about Open Standards and Open Source around the Terrapages/Lisasoft and OSGeo stands at the Australian Spatial Sciences Institute conference 14-18 May 2007 in Hobart, Australia. There was a lot of interest from a number of Government Departments in using Open Standards. Some departments like Landgate in Western Australia have already made major inroads into a Spatial Data Infrastructure using Open Standards and a lot of Open Source. Opportunities to tap into international testbeds exist for Australian Industry and Government Departments. Investment in international testbeds allows best practices from Overseas to be deployed locally, and for local industry to break into international markets. Federated Geo-synchronisation involves synchronising a remote WFS locally so that the local WFS users don't require a stable internet connection. Many people noted their desire to have this functionality for current needs. This is an unfunded thread in the upcoming OGC Testbed (OWS5) but I think there is enough desire to initiate Australian funding for this functionality. A few people, including Rob Atkinson from Socialchange Online discussed automating much of the metadata entry for Web Services, which can then be fed into Catalogs. Rob talked about the need to create default Metadata schemas for different industries which services can subscribe to. There is room for a Research Project here, and backing implementation. A number of agencies discussed their needs to comply with ANZLIC metadata standards. Again, there are opportunities for agencies to work together on this problem to create a shared solution. The CGDI IP will provide widespread, cross agency dissemination of data which can be updated locally. This same use case is similar to the Federated Geosynchronisation required by the Australian Spatial Data Infrastructure and we should be looking to deploy results of this project locally. Lisasoft is negotiating to build an integrated, browser based client for this application. OWS Testbed 5 is this year's major testbed sponsored by the OGC. There are significant opportunities for Australian Government Departments and Australian Industry to participate in these testbeds. Geoff Zeiss from Autodesk talked about the Open Source business. Unfortunately I wasn't able to make his talk, but heard a lot about it from enlightened people walking past our booth. A high government official noted that it was important for the Australian government to promote Open Standards for interoperability and to a lesser extent, to support Open Source to promote adoption of technologies being developed. We announced our Commercial Support for Open Source Geospatial Software. This attracted a lot of positive response. One techie noted that he would be recommending his department buy support after he left so that his applications would keep running. Another talked about having problems running Open Source applications after their key techie left. We hope Commercial Open Source Support will provide the stepping stone required to migrate to Open Source. We had a fruitful conversation with Anthony O Flaherty from South Australia TAFE. Anthony noted that some of his students were using Open Source and was happy to encourage it. We pointed out that we'd be happy to provide industry relevance to his training and would be looking at his graduates in future when hiring. In particular, we pointed Anthony at Ian Turton's Open Web Mapping Course. 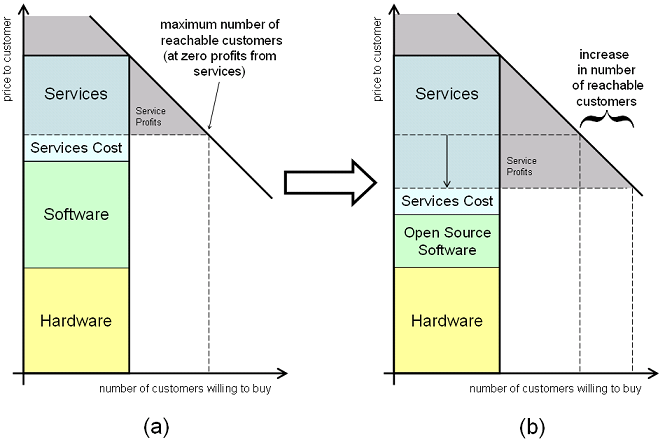 Dirk Riehle provides an excellent explanation of business behind Open and Closed Source Software: http://www.riehle.org/computer-science/research/2007/computer-2007-article.html. LISASoft/TerraPages apply these Open Source business principles to Geospatial Software. LISASoft provide value using Open Source Geospatial Software. Using free Open Source allows Systems Integrators to increase services or reduce price. The price of dominant, closed source software reflects market demand rather than development cost. 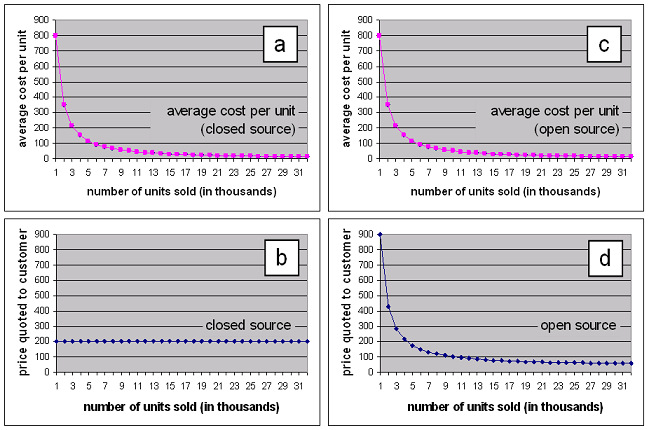 As open source projects mature, their cost undercuts closed source competitors. Dominant projects are forced to use lock in tactics or to open source as well. Many Open Source Geospatial Products offer equivalent functionality and quality to existing dominant Closed Source products. Initial costly development is complete and Open Source offers better value for money.